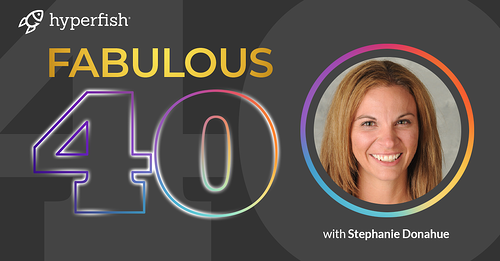 The Fabulous 40 video series, hosted by VP of Product Technology Dan Stoll (@_danstoll) interviews members of the Office 365 & SharePoint community. Dan delivers a rapid fire of 40 questions that let you get to know about that things that drive and inspire the leading minds in Office 365. In this inaugural episode Dan catches up with Stephanie Donahue, (@stephkdonahue) Microsoft MVP for Office Apps & Services and President & Co-founder of PAIT Group. 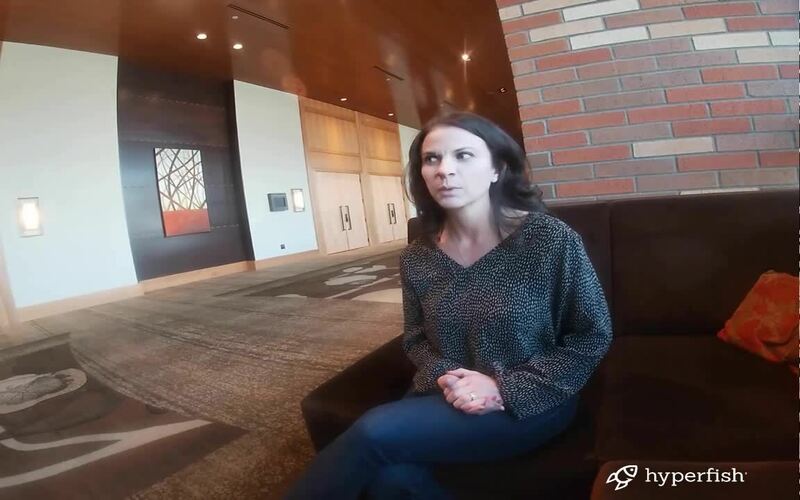 Stephanie caught up with Dan while attending the 2019 Microsoft MVP Summit, and let's him in on the path she took to become an MVP and also discusses the essential tools she uses to manage her growing consultancy. Dan: Hey, Stephanie. How you doing? Stephanie: Good. How are you? Dan: Good. Can steal you away from this guy? Stephanie: I didn't want to talk to him anyway. Dan: Oh, great. Awesome. What brings you to Bellevue? Stephanie: Well, I'm here for the MVP Summit and for the Business App Summit. Dan: Do you like Seattle and Bellevue? Stephanie: I do. It's nice out here, and you know the weather this week was fantastic. Dan: I know. It's been phenomenal. Stephanie: The sunsets have been amazing. So I've really enjoyed the week. Dan: What doesn't it have that your hometown does? Stephanie: My family. I miss them a little bit. Yeah, it's been a little while. Dan: Gotcha. And what's the best part of visiting the Redmond campus? Stephanie: The access to the product group and the different folks on Microsoft. It's wonderful getting to talk to everybody and get information from them on how they make things run every day. Dan: How long have you been a Microsoft MVP now? Stephanie: About three and a half years. Dan: What's the best thing about being an MVP? Stephanie: Probably the networking, all the people that I've met, and everybody's so supportive. It's a really fantastic community. Dan: Who do you look up to in the Office 365 community? Stephanie: There are so many. Brian Cook, Dux Raymond Sy, Michelle Caldwell, Chris McNulty, Jason Himmelstein, they're all amazing. Dan: Yeah, and what's your favorite technical podcast? Stephanie: I am a big fan of the Microsoft Cloud Show, so AC and CJ, big fan. 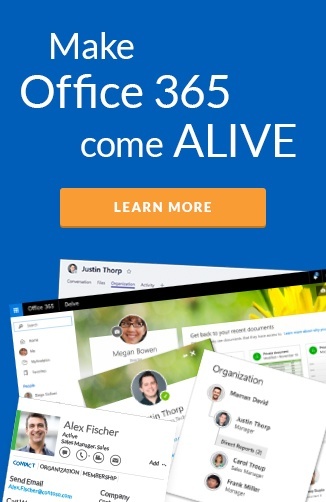 Dan: And do you have a favorite Office 365 event? Stephanie: Probably, gosh, North American Collab Summit, right? Why not? Dan: Yeah, why not? What has been the best destination you've traveled to for work? Stephanie: Well, I get to go all over the country, which is really cool. Of course I really enjoy New York City. But I also get to go all over the place, like Iowa, and Nebraska. I've been all over. And it's kind of cool to see other parts of the country. Dan: What's your most favorite part of New York City? Stephanie: Everything. I love to be downtown. I love to be in the midst of all the action and kind of be lost with all the people. Dan: Yeah. You're a president of the PAIT group. What does PAIT stand for? Stephanie: Powerful alone. Invincible together. Dan: And how long has PAIT been in business? Stephanie: We've been in business six years. Dan: How large has the team grown to? Stephanie: We are 16 people strong and a couple subcontractors now. Dan: What's one word to describe working with Mark Rackley? Stephanie: Brother comes to mind, right? It's like you fight those epic fights with your brother, but you know that there's nobody that has your back more than them. Dan: And why did you decide to start your own business? Stephanie: I was kind of just tired of being frustrated with the way things were going. And I think it's hard because SharePoint's different than Exchange. You finish an Exchange migration, and email works. You're done. And SharePoint goes on forever. So when I think it was just a matter of approaching it a different way. Dan: So what is that one of your favorite things about being a business owner? Stephanie: I enjoy the flexibility of business ownership and being able to control my own destiny. Dan: What part of your job would you like to outsource? Stephanie: HR. I'm working on that, getting closer. Dan: And what's the best thing about being your own boss? Stephanie: Besides the flexibility, just being able to have my own career path and to be able to decide what direction I want to go and what parts of the company that I want to take on. Dan: Now, you've got a lot of people that work remotely. What are the challenges of doing that? Stephanie: Well, it's hard to get everybody on the same page sometimes. So you end up spending a lot more one-one-one time and group time. So we've started doing virtual happy hours, and we've done more mentoring sessions just to make sure that we are connecting with people and that they feel part of the team. Dan: And what got you into SharePoint consulting in the first place? Stephanie: I kind of got dropped in just like everybody else. I don't think anyone intends on being in SharePoint. That was one of those things; I think someone was out of the office, and I was next. And so that's how I ended up here. Dan: What is your favorite Office 365 project right now? Stephanie: Right now I don't know that I could pick one. I love anything that has to do with the planning process and being able to kind of scope things at a bigger level. What can we do to transform an organization. That's where I live. Dan: So what's your most challenging SharePoint project you've completed? Stephanie: Probably all of them. No. Wait, do you ever really complete a SharePoint project? Stephanie: I mean, they go on forever. No, I think that there was one where they asked us from the beginning to define the difference between Intranet and Internet. And when you're starting at Ground Zero, I think there's a lot of conversations to have. But we made it. Dan: I guess what was the main thing you learned from that project? Stephanie: That it is possible to transition a company that has been without new technology for a really long time. And that should be encouraging to everyone else. I think everybody says, "Oh, we're the worst. We're so far behind." But it is possible to totally transform. Dan: And do you still enjoy working with the old versions of SharePoint? Dan: What was your first speaking gig? Stephanie: My first speaking gig was SharePoint Saturday Columbus, Ohio. And that was actually with somebody, so my first solo speaking gig was SharePoint Saturday. It was Ozarks for Mark (Rackley), actually. Dan: And how do you think that went? Stephanie: Well, it must have been okay. He's my business partner now. Dan: What conference would you like to must speak at? Dan: What book would you most recommend? Stephanie: Girl, Wash Your Face, Rachel Hollis. Dan: If you hosted your own podcast, what would it be about? Stephanie: I would probably do a business podcast. I love being a business owner. So I would love to talk about that. Dan: Who would you like as your co-host? Stephanie: Like all of the people that I listen to now, so Tim Ferriss, James Altucher. Anybody who does those awesome podcasts that I listen to, I'd want to bring them on. Dan: What drew you to technology as a career? Stephanie: In high school, they told me I was good at math and science, so pretty simple. Dan: That's fair enough. So what do you love about working in technology? Stephanie: It's always changing. So I never get bored. I get bored fast, and so this is an area where it's coming in so fast, you just can't ever get bored. Dan: And what's the best thing about being a woman in technology? Stephanie: Gosh, I don't know. I think it's just like being a guy in technology. I think that I've had a lot of good opportunities. It's fun. Dan: What would you say to other females considering a career in technology? Dan: What business tools are essential for you? Stephanie: What business tool is essential to me? XMind. I love that app. It is my mapping tool. Dan: What business tool do you think is the most underrated? Stephanie: I think I was going to say XMind for that one. Yeah, I think it is. It is also the most underrated. Dan: What Office 365 service would you love to see more of your customers using? Stephanie: I think Microsoft Teams is really hitting big. And so I'd love to see them loosen up the reins a little bit and really let it go. Dan: Yeah. What technology would you like to see go away? Dan: What Office 365 services are you most passionate about? Stephanie: Maybe all of it. I'm passionate about Digital Workplace. Let's get in there and let's use the right tool for the right job. Dan: And do you have any hidden talents? Stephanie: No. I actually don't have any talents whatsoever to share. Dan: All right, this has been awesome. Thanks for catching up with me. I hope you have a great happy hour this afternoon. And talk to you again. What are the SharePoint / Office 365 questions you are dying to have answered? What Office 365 community member would you like us to interview next?